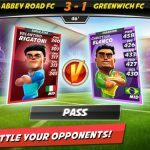 Soccer Manager 2019 is now available for iOS and Android devices, and it comes from the fittingly named Soccer Manager LTD, which previously released titles such as the more casual Football Clash: All Stars, and Soccer Manager Worlds, that allows you to compete against the other kind of “real players” (human opponents, that is) mobile game developers often hype in their game descriptions. This game, which follows up on the original Soccer Manager 2018, comes with tons of real-life players and teams (this time, referring to your favorite Premier League, La Liga, etc. players and teams) from more than 30 countries all over the world. And this game won’t just be about managing your club’s roster and choosing the right tactics before and during a game. You’ll also need to pay attention to your stadium and other off-the-pitch aspects of the game, which may sound like boring stuff to some, but is part and parcel of many other higher-end association football/soccer management games out in the market. As usual, there are tons of things to learn before you can consider yourself an expert manager. But everybody’s got to start somewhere, which is why we compiled a list of eight tips and tricks for rookie managers in this Soccer Manager 2019 beginner’s guide. Read on as we talk you through the basics and the bare necessities you’ll need in order to competently manage the club of your choice in the early goings! As far as soccer management games for mobile go, we’d put Soccer Manager 2019 somewhere in between casual management titles and something like Football Manager 2019 Mobile. Like the latter game, you’ll have a chance to control your favorite, real-life club, may it be a top-tier team or one from the lower leagues, and all the players that you start the game with are actual players — this isn’t like New Star Manager, for instance, where the players are 100 percent fictional and randomly generated each time you create a new game. And while this game is quite rich in features, the learning curve isn’t as steep as it is in FMM 2019. 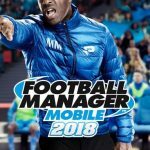 Like FMM 2019, and unlike Dream League Soccer/New Star Manager, this is a purely management-oriented game, meaning you don’t get to take control of your players during crucial moments in a match. Everything is dependent on the decisions you make before or during a match, may it be training or acquiring players for the former, or adjusting tactics for the latter. With that said, we’d say the mechanics are easier to pick up, and games go by in a similar way as they do in FMM 2019 — you get to watch the crucial, goal-scoring opportunities as they happen, but there’s no need to angle your shot or take physics into account while controlling your players. When starting a new game, you have the option to choose up to three countries whose leagues will be featured in your save game — currently, there are 33 countries to choose from, which is much more than the 21 in the present version of FMM 2019, though there are fewer available leagues per country in this particular title. Next, you’ll be asked to choose the league which you wish to compete in, then the team you wish to manage. You will see each club’s star rating on a scale to 1 to 5, so if you aren’t familiar with the available teams, this should at least give you a good idea of your club’s talent level. After that, you’re all good to go and ready to start your managerial career! There are three types of currency in Soccer Manager 2019, starting with the common one, which is Cash. Obviously, this is represented by the green bills on the lower right portion of the main menu, and this refers to your balance, which, to cite a very basic example, goes up each time you sell a player, and goes down after you purchase one from the transfer market. Your gold Coins can be used for a variety of things, including purchasing players, immediately taking over a new team, or speeding up certain tasks such as scouting. Next, Points are used to unlock certain in-game perks that could, for instance, allow you to use new training regimens for your players, train more youth players, etc., or make improvements to your Stadium. Separate from the actual currencies but also valid to file under this category are your Manager Points, which you earn each time you win a match, may it be a friendly, or exhibition match, league match, or cup match. Watching a video allows you to double your Manager Points, which will then allow you to level up in the game. Need some extra injections of funds to purchase new players and keep your team competitive? Soccer Manager 2019 does allow you to open free gifts every four hours, and you can do this by going to the bottom left corner of the main menu and tapping on the soccer ball icons. That will allow you to get some free cash, and the best part of it all is that you don’t need to watch any videos in order to redeem your gift — tap on the soccer ball icons, then on the bigger soccer ball that will appear afterwards, and you’re good to go. That’s why it’s important to play as regularly as possible — these gifts can be redeemed every four hours, and the more you play, the more free cash you can earn! You can choose to do this any time before each match, but it’s important that you choose the right tactics and the right starting 11 at all times. Always make sure to check the Next Match Preview emails (on the right side of your screen on the main menu), as that will give you an idea of what formation your opponent is expected to use. Generally speaking, you’ll want to go with a formation with more attackers/attacking midfielders if your opponent is going defensive (usually those formations with four or five defenders and only one attacker), and to do the opposite if your opponent has three attackers/attacking midfielders lined up. For those who aren’t familiar, the first number in a formation, e.g. 4-4-2, refers to the number of defenders, the second number is for midfielders, and the third number is for attackers/forwards. Sometimes, you’ll see four numbers — for an example of this, a 4-2-3-1 formation means four defenders, two defensive midfielders, three attacking midfielders, and one attacker. We won’t really delve much into what’s in the third tab on the Tactics screen, as this would be best discussed in our upcoming guides for intermediate/advanced players. But it’s the first two tabs you should mostly pay attention to — the first allows you to drag and drop players to choose your starting 11, while the second allows you to choose a formation. When selecting your starting 11, you should make sure that your players are always playing their listed positions and sides — you can’t play a center-forward in the midfield and likewise, a right midfielder can’t be played on the left, or vice versa. If you see the player’s name is in red after you drag him from the Substitutes/Squad area, that means he won’t play too well if he’s used in that position/side. Playing out of position, of course, could affect how well someone plays on the pitch! If you’re a beginner, the easiest way to choose your lineup is to simply tap on Auto Pick and let the AI choose the best lineup for you. This is based on the players’ overall ratings, so you can be confident that they’ve got what it takes to deliver on the field — at least in theory, that is. 5. What Changes Should You Make During A Match? Once match day comes, everything will be up to you in terms of in-game strategy. You’ll be able to make most of the same changes on the fly that you could when planning your tactics before the match, though obviously, you won’t be able to Auto Pick your lineups after the referee’s whistle blows. So what would be the best way to go about in-game strategy in Soccer Manager 2019? Since this is a beginner’s guide, we’re going to keep things simple when talking about in-game strategy. As it is in other football management games, one of the more basic things you can do when altering your in-game strategy is to start making changes when you’re behind, or if you start out in the lead and the other team equalizes. That’s why we suggest keeping the game at normal speed unless you’re up against a weak opponent; if you notice that the opposing attackers’ ratings are on the high side, you can switch to a more defensive formation or make your tackling more aggressive than usual. But if the defenders aren’t performing too well based on the ratings, you can turn up the tempo and go for more aggressive offensive tactics, such as moving the slider from Normal to Attacking in the General tab. When it comes to substitutions, we generally do not recommend subbing anyone out until you’re comfortably ahead. As you’ll notice, most other teams save their subs for the last five to ten minutes of a match, but the idea here, in any case, is to make the most out of your three substitutions regardless when you send them. Going back to our earlier point, you can certainly field some substitutes if you end the half on a two-goal lead, for instance, but it may be better for you to keep them on the bench until the dying minutes if you’re fighting back from a deficit, or if the game is tied and you’re trying to score that go-ahead goal. Just like in your typical football management title, playing more matches won’t automatically make your players better. You need to actually put them through training, and in order to do that, you’ll need to go to the Facilities section of the main menu, move the arrow until you get to Training, then fill in each of the four slots with a training drill. You can unlock more drills as you go along by spending Points, but regardless whether you’ve got those unlocked or not, you should be fine if you let your Assistant Manager take care of the drills and choose them automatically. After a few seconds, you’ll see the results of your training, which would typically manifest in the form of increases to some players’ attribute ratings. Mostly, it’s the younger players who will benefit the most from training; your 21-year-old forward will usually be listed somewhere as having gained a point in Aerial Ability, for instance, but your 36-year-old goalkeeper most probably won’t benefit at all, due to how his seasons are likely numbered. Talking about some of the more basic drill types in Training, Basic Physical refers to Strength, Stamina, Work Rate, the aforementioned Aerial Ability, and other attributes that are associated with your players’ physical abilities. Basic Defending is self-explanatory — these are the skills every defender should learn, such as Positioning, Marking, and Aggression. Basic Goalkeeping is obviously for your goalkeepers and focuses on skills unique to this all-important position. Finally, Set Pieces improves how your players perform when shooting penalties or taking free kicks and corner kicks. Sooner or later, you’re going to need to make some moves, especially if you’re managing a weaker team, or if you’re in a lower league and are aiming for promotion. That means going to the Transfers section and shopping around for some new players to add to your club. When looking for players to sign, you may want to choose someone whose Value is within your transfer budget, but in this game, it’s not as simple as merely placing a bid equal to the player’s Value, or slightly lower; as you’ll find out soon enough, rival clubs will often demand much more than what a player is estimated to be worth. For example, someone valued at £35 million may actually fetch a minimum bid (as recommended by his mother club) of about £50 million. That £50 million will count against your Transfer Budget, so when choosing players, it may be better if you bid on players who are valued, at the very most, at about 25 to 30 percent less than what your Transfer Budget currently is. So if your Transfer Budget is £10 million, don’t bid on anybody valued at more than £7 to £7.5 million. After the target player’s club accepts your bid, you will then move on to wage negotiations. Now here’s where you can start low-balling a bit, but Soccer Manager 2019 somehow doesn’t give you as much room to make significantly lower bids than what is being requested. So if your target player requests, say, £75,000 a week, don’t offer him any less than £70,000. Also make sure to adjust your Wage Budget before submitting your offer, or the game won’t allow the offer to go through; fortunately, all it takes is one tap in order to automatically adjust your Wage Budget to accommodate what you’re offering. Acquiring players via transfer may be a bit frustrating in this game compared to others, but it is what it is, and you’ll need to bolster your roster anyway, unless you’re starting out with a team that’s already a championship contender in the topmost league in your country of choice. We will probably be discussing this in greater depth as we move on to the intermediate/advanced guides, but to keep things simple for the newbies out there, it’s important that you take a look at the Club menu from time to time and see how everyone is doing, may it be your First Team or your Reserves. When reviewing player details, you can take a look at their basic information by going to Profile, see how they’re doing for the season by going to Stats, and review their strengths and weaknesses in terms of skills (on a scale of 1-100) in Attributes. But for now, we would suggest that you pay the most attention to the Profile section, as this is where you will see each player’s Fitness and Morale. Fitness, obviously, gets affected if they’re tired after a match, and even more so after they get injured; this stat remains low once a player’s injury has just healed up. Morale, on the other hand, may be more important at this point, as this can be affected by positive developments such as wins and a regular role in the starting 11, or negative developments such as losses, financial troubles, and a lack of playing time. As you can see in the Profile page, the game will give you the option of paying coins to improve any player’s Fitness or Morale. Using coins to pay for these boosts is strongly discouraged, unless you’re dealing with one of your top players whom you need healthy and/or in good spirits in time for an important cup game or a tough matchup in league competition. 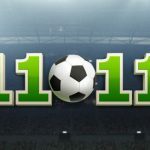 And this wraps up our Soccer Manager 2019 beginner’s guide. Stay tuned as we may come back in the near feature with some more tips, cheats and strategies for the game! In case you know additional tips, don’t hesitate to let us know in the comments!